From architects plans or photos, Minifer design buildings using a computer. The models, typically french, can be in accordance with reality or come from imagination. 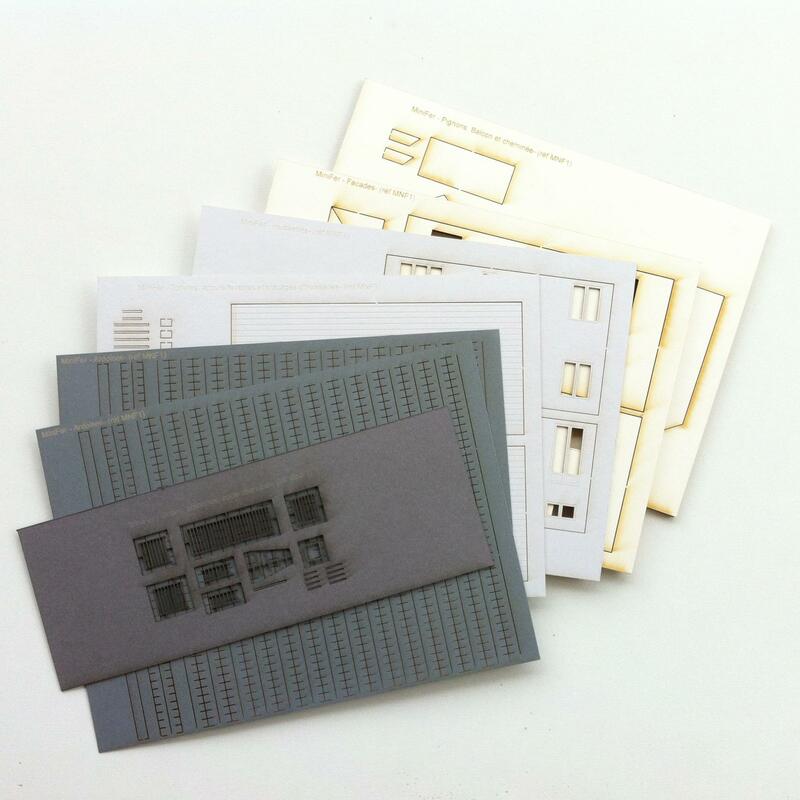 Laser cutting offers an unparalleled fineness, and the kits, made of wood-cardboard, are to be paint with acrylic or gouache and assembled with wood glue. It's as simple as that !